This is authentic 3D pool experience like you’ve never seen on mobile. Unlike other pool games, 3D Pool Ball offers playing pool (a.k.a pocket billiards) in 3D view as it should be played in real world.Capture the spotlight in the pubs & pool halls and build you legacy in the most realistic pool game on the planet. Compete against other real players from all around the world or enter tournaments to win trophies against skilled pool players. 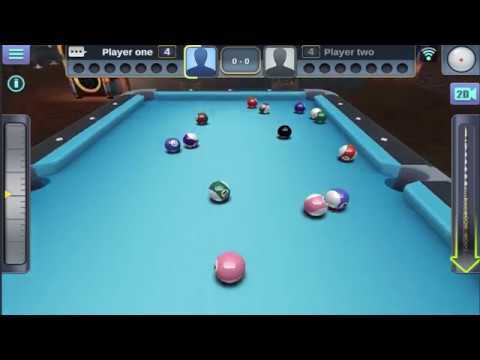 How about a nice game of pool?Game Features:- Impressive visuals, great animations and double fun- Play 1-on-1 and 8 player tournaments in online 8 ball and online 9 ball- Play against computer AI in offline 8 ball and offline 9 ball – Big bets. Big wins. Play like a pro.- Realistic physics in 2D view and 3D viewTips: The goal of eight ball, which is played with a full rack of fifteen balls and the cue ball, is to claim a suit, pocket all of them and then legally pocket the 8 ball.